Home to the world’s greatest single concentration of wildlife, the Serengeti National Park is the Africa of the imagination. Known as ‘the land that goes on forever’, its rolling savannahs are where elephants, buffalo, big cats and antelope co-exist with red-robed Maasai herders. 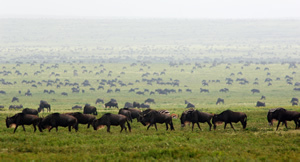 It is of course most famous for its annual wildebeest migration when over a million animals move between the Serengeti and Kenya’s Masai Mara. But it is in the Serengeti that some of the most exciting chapters of the migration play out: the birthing season (when up to 400 000 calves are born) or the migration river-crossings, when the wildebeest herds run the gauntlet of monstrous crocodiles as they return to the Masai Mara. But you don’t have to travel to the Serengeti during migration season to enjoy excellent game viewing. 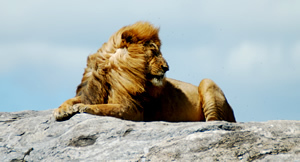 Wildlife is prolific throughout the year and the park has an international reputation for predators – big cats, hyenas, birds of prey and wild dogs. You’ll sit back to morning and afternoon game drives; if you stay in a private concession then you have the advantage of spot-lit night drives and guided walks too. 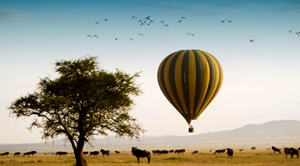 Hot-air balloon safaris are a popular way to view the landscape and many lodges offer the chance to interact with local communities during non-invasive cultural tours. 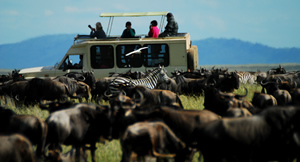 Talk to Safari Online about a Serengeti National Park safari. 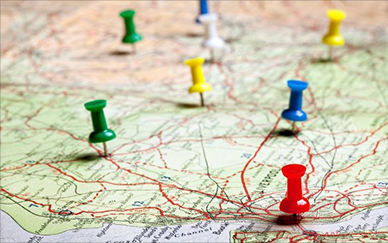 We’ll recommend the best tour for your requirements or tailor-make an itinerary for you. It’s easy to include Zanzibar and the well-known destinations on Tanzania’s Northern Safari Circuit (Lake Manyara, the Ngorongoro Crater and Tarangire) as well as less well-known but equally rewarding places. Tanzania’s southern secrets of Rubondo Island, Katavi, Ruaha and the chimpanzee-filled forests of Mahale are waiting to be discovered. Migration highlights in the Serengeti include the calving months & the crocodile-dodging river crossings but with a million animals on the march, there is tooth-&-claw drama throughout the season. It’s a pre-dawn start but worth it; few sights rival that of sunrise over the Serengeti, especially when the savannah is covered in wildebeest. A champagne breakfast is served after touchdown. The red-robed Maasai people & their cattle share the savannah with its wildlife. 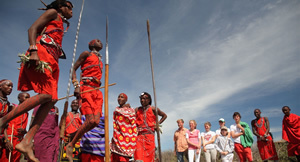 A Serengeti safari gives you the opportunity to visit a local village where you may see the famous Maasai ‘jumping dance’. 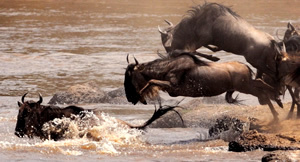 Between June & August, the wildebeest cross the crocodile-filled Grumeti & Mara Rivers as they return to the Masai Mara. It’s the migration’s most dramatic chapter so book early for front row seats. The Serengeti’s density of game means lions & cheetahs are commonly seen plus leopards, spotted hyenas & occasionally African wild dogs. The Serengeti’s rivers hide some of the biggest crocodiles in Africa. The Serengeti is popular during migration season; we recommend staying at a privately-run concession. 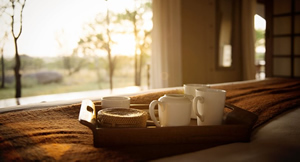 You’ll have access to the park as well as exclusive game drives, night drives & walks on the concession. 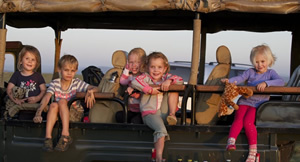 With its generous climate & lodges that welcome children from toddlers to teenagers, the Serengeti makes a great family safari with tailored safari programmes, child minders & private accommodation. 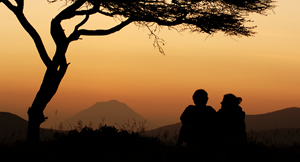 Intimate, exclusive & with idyllic settings, many Serengeti lodges are among the top choices in East Africa for honeymooners & celebrating couples – ask us about the best ones.